It will take some time to unravel the twisted knot of emotions that wove its way through me over the nine days we spent in Israel. My sensory delight in the sweet smell of jasmine, the warm and inviting limestone architecture, the abundant sunshine, and the rich tastes of hummus and falafel expanded during each day of the trip. 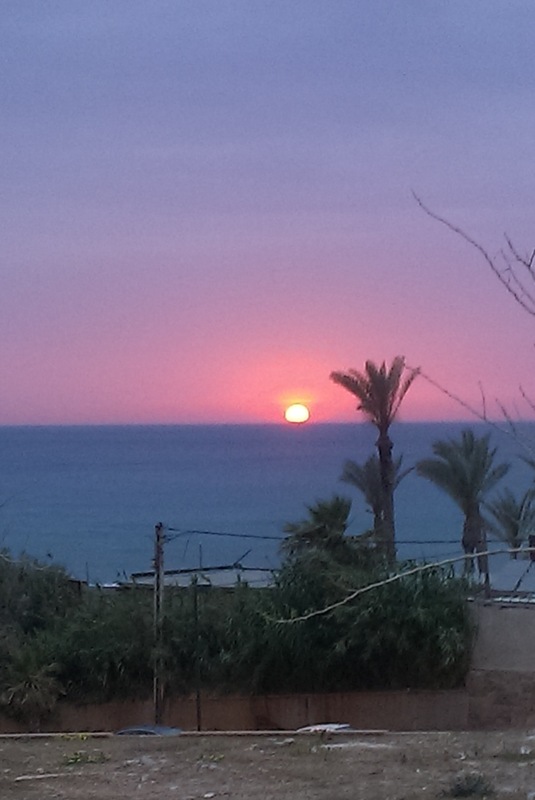 While my senses enjoyed this daily barrage of gifts, my brain was constantly working overtime to fill in the multi-colored canvas that is Israel. Each day the land and the people drew me in, but not without moments when my buttons were pushed and I drew back. I felt a bit like Dr. Doolittle’s pushmi-pullyu, the gazelle-unicorn whose two heads try to go in opposite directions whenever it moves. The highlight of our trip was spending time with our cousins who we first met in 2011, but with whom we already share a deep bond (see Shrinking the Family Diaspora). That bond was strengthened as we picked up where we left off three years ago and wrote a new family history into the moments we spent together. But sadness and even anger bubbled up within me while trying to make sense of the ultra-orthdox Jews whose demeanor and conduct sent a loud message that said “keep away — you are not one of us.” Driving through the Mea She’arim area and provoking the rage of its residents was probably a bad idea, but even worse was the feeling we had while walking around Jerusalem of being invisible in the eyes of those who are a part of our history but who reject us as Jews. 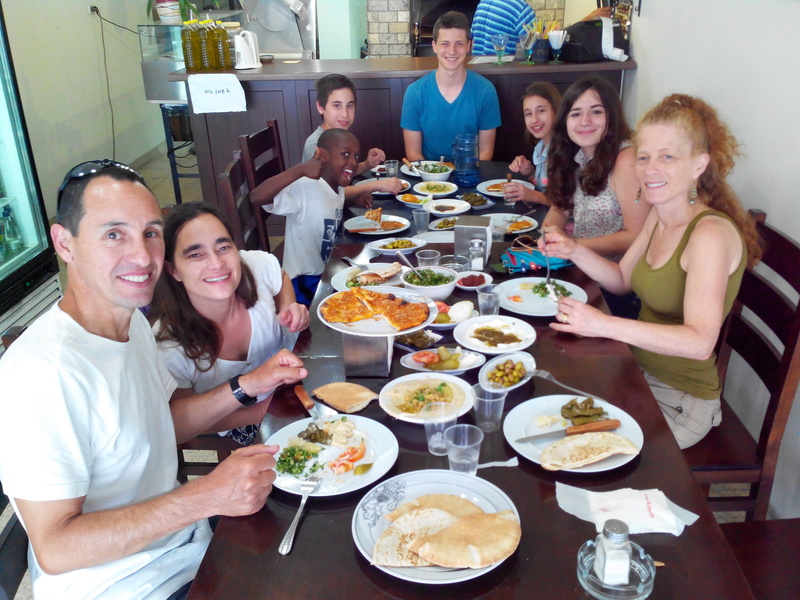 Visiting Israel during Passover made it more challenging for us to connect with Jewish life since our family is fairly secular and does not keep kosher for the holiday. 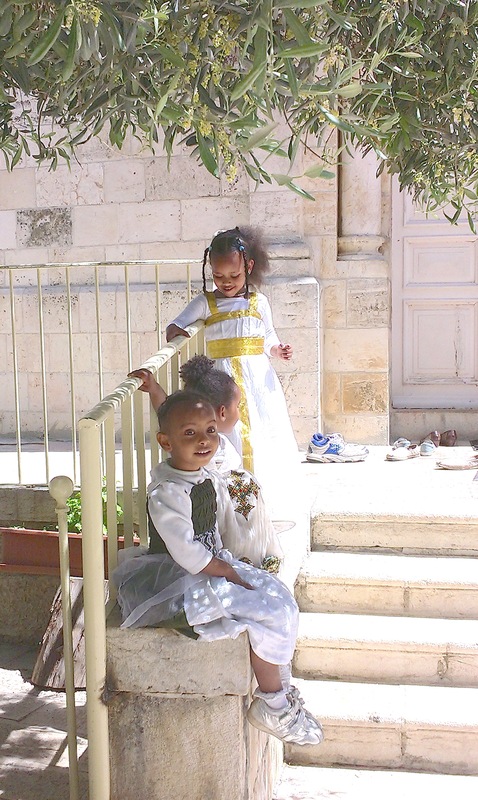 We often found ourselves gravitating toward Arabic areas and had our most spiritually uplifting experience at the Ethiopian Orthodox Church in Jerusalem on Easter Sunday. Although we spoke with no one during our brief visit, we felt not only welcome and accepted, but also a sense of peace that spoke of the human potential that has yet to be achieved in the Middle East. I hope to share some further reflections as I unravel my thoughts and emotions and try to get my head pointed in just one direction.